Earl and Rose Long invite you to Love Letters at the Old Governor’s Mansion on February 13th and 14th. Following a welcome by the Long’s to the Mansion, Peggy Sweeney-McDonald and Scott Jefferson, along with director Perry Martin will present A.R. 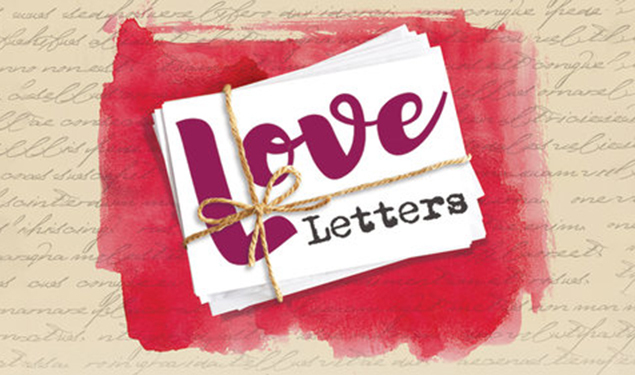 Gurney’s award winning play, Love Letters (presented by Dramatists Play Services, Inc. of New York) on Wednesday, February 13th and Thursday, February 14th, 2019. The show will benefit Preserve Louisiana. Doors will open at 6:45 PM and the show starting at 7:30 PM. There will be a cash bar before the show with champagne and desserts served during intermission. Lynda and Cliff Normand, long time docents of the Old Governor’s Mansion, will play Earl and Rose Long and share tales of the Governors who resided in the Mansion. Sweeney-McDonald and Jefferson first performed Love Letters twenty-five years ago in New Orleans after appearing in the Tennessee Williams play, Summer and Smoke the same year. In 2012, Jefferson appeared in Meanwhile, Back at Café Du Monde… the popular food monologue show created by Sweeney-McDonald. Jefferson’s food story also appears in the book authored by Sweeney-McDonald which was published in 2012 by Pelican Publishing. They are excited to reunite and reprise their Love Letter roles for these special Valentine’s Day performances. Tickets are $30.00 ($25 for Preserve Louisiana members) and include champagne, bites and sweets during intermission. Limited seating/advanced purchase recommended.